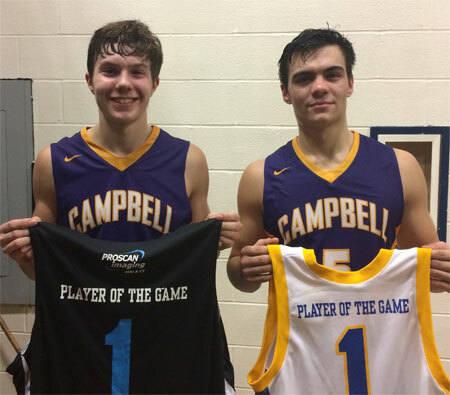 Cole Hegyi was our OMEGA Processing Offensive Player of the Game as Campbell County defeated Scott 57-55 on a last second shot. Hegyi led the Camels with 25 points and 8 rebounds. Garren Bertsch was our ProScan Imaging Defensive Player of the Game as he hit the last second shot to beat Scott. Bertsch also added 8 points and 5 rebounds.